One of the thinks I do is develop procedures for” what can be” using new or emerging media. 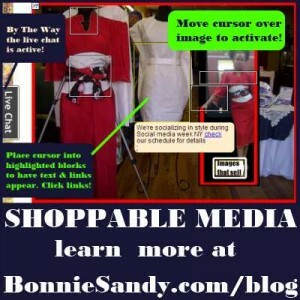 ” Shoppable Media” really is clickable media that directs to the sell through or e-commerce enabled page! Don’t see how? follow the directions in the image. follow instructions to activate image. Can I update info after embedding.- the embed has links to SMWNY 2012- if updated it will point elsewhere. What happens if I “tear” the image or send it via social media which sites strip the codes which will not. Now to decide where to point and to build those landing pages! Updates will be posted after the line! 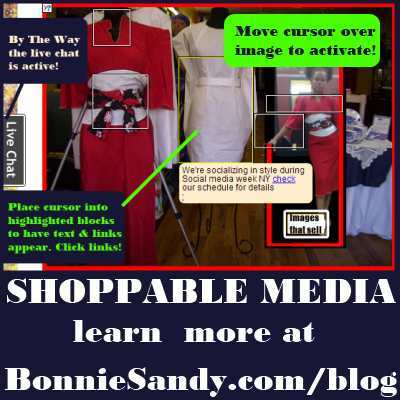 Update 1 – After publishing I noticed the clickable frame would only appear when the cursor was over the image. A quick solution do a screenshot instructions. However we need a long-term solution, which is where technologists and hacking comes in. So Ii’ll speak with the lead engineer of Tibiae Tech to discuss a suitable solution. Update 2 This took a while and needs to be streamlined and simplified. An independent artisan needs to get back to work. Hiring someone at fair wage still adds to the overhead and with one of a kind items adding $15-$20 to the sale price of each item won’t work. Update 3– Tested updating the notes from Flickr changes registered, but new notes were not added!So re-configured a fresh embed! 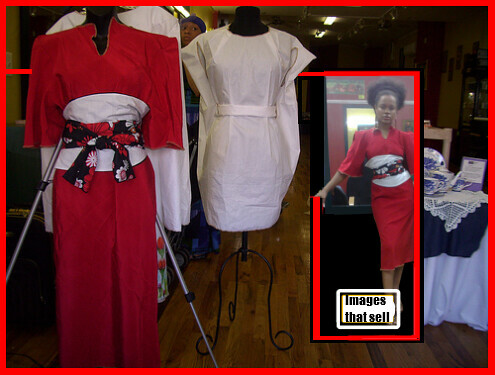 Posted in Uncategorized and tagged Product Development, Selling Styles, Social Commerce, What I Do.